Ever try taking a photo of your daughter playing basketball in a dimly lit gym? It’s challenging. Or, what about trying to capture the fast pace of your son playing hockey? The action moves fast. Even outdoor games like soccer, lacrosse and baseball present photography challenges. 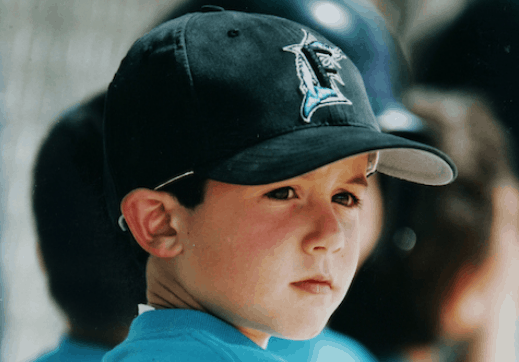 What’s a sports parent to do? The answer isn’t always to purchase a more expensive camera or lens. Many times, the solution lies in the photographer’s approach and technique. 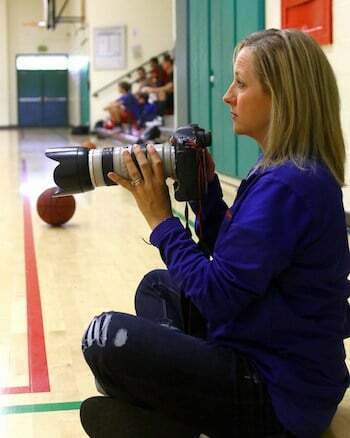 Professional sports photographer Scott Quintard has over 30 years in the business and has written a book to help sports parents take the types of photos that they’ll cherish for years to come. 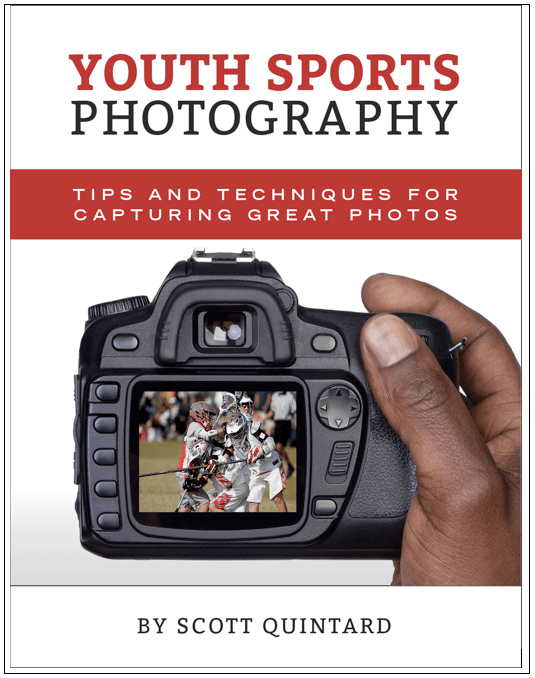 The ebook, Youth Sports Photography – Tips and Techniques for Capturing Great Photos, is available via the Sports Feel Good Stories Store. 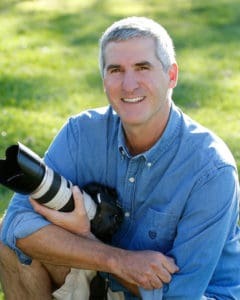 As the past, official staff sports photographer for UCLA Sports, Scott’s job was to capture photographs for all 22 sports men’s and women’s sports. He’s also found time to freelance for the NFL, the NBA, MLB and the NCAA. His work appeared in Sports Illustrated among other prestigious publications. As technology has improved, Scott noticed that parents had the photography tools they needed to capture high quality photos. But, they needed the mindset for anticipations and a general understanding of sports photography basics. Scott’s book provides that solution. Once you start photographing sports you soon realize that capturing the peak action is not always the most interesting thing that is happening on the field. Each sporting event has quite a bit of drama. game like it is Game 7 of the NBA Finals. Why do I mention this? Because there are some amazing pictures to be had when you tap into that emotion. Expressions are more dynamic, emotions run higher and the opportunity for photo gold is that much higher. I know as a parent, you watch your son or daughter very closely – even when they are on the bench or sidelines. Next time you are at a game, see if you can capture that drama, intensity or humor. Without letting them know, see if you can photograph that laser focus. are worthy of a photo. You will also find quite a bit of humor beyond the peak action. How about that moment where your son is flirting with the cute girl in the stands while the rest of the volleyball team is huddled around the coach. That shot you might not want to share with the whole team. Of course you never want to embarrass an athlete but what a great shot to have for later. Ha-ha. Let’s take a look at a few popular youth sports and talk about camera angles for each. Having some starting points can be very helpful for new sports photographers so I would like to list some places you might stand in order get the best photos. In the next photo tip I will talk about what positions are allowed or not allowed but here we talk about what will give you the best angles. One of the toughest challenges with photographing this sport are the fences. While it is a necessity, it is also a limitation. Let’s talk first about how to photograph through a backstop. The trick is getting your lens up close to the chain links without touching it. When you put your lens up that close, the fence links will disappear however if you rest your lens on the fence itself, you run the risk of having your lens shattered as a foul ball shoots back and hits the backstop. You want to remove your sunshade on the lens and get within about 3 inches from the actual links. This allows your camera to see the action without recording the fence. If you are shooting with a long lens, the fence will disappear. If you are using a normal or wide-angle lens (35mm – 50mm lens) you may have a hard time getting it to go away. Keep that in mind. I like to move along the sidelines with the action. 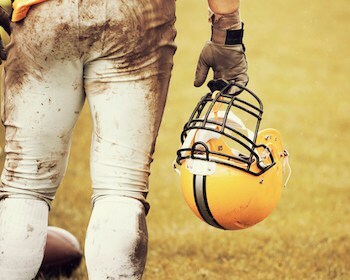 The great thing about football is that the action stops and resets so you have time to move unlike soccer, basketball or lacrosse that does not stop. When you follow along at the line of scrimmage you can get some good shots of the linemen plus the quarterback as they fade back for a pass or the handoff to a running back if they come your way. When you move about 10 yards ahead of the action you get more shots of the short passes and some nice head on photos of running backs and offensive linemen. My favorite position is in the back of the end zone. From this angle the action is moving straight towards you. This position does require a bit longer lens however. You will notice a lot of the professional sports photographers sitting in the back of the end zone with their 600mm lenses waiting for the action to come straight at them. You don’t need that lens but if you only have a normal lens, you have to wait until the action is at the goal line. If you have a longer lens you can photograph this action from the stands behind the back line. Now you have the action facing directly towards you and you have all the action happening on the same plane that is easier for focusing. This also works from the ground level behind the back line. Another angle is to get down low just outside the sidelines near the net. 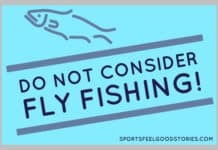 Now you can capture more of the dives and slams however the action moves fast here and there are bodies flying all over. Heads up. You have a few options here. If you shoot from the stands you get cleaner backgrounds but you might need a bit longer lens. Should you choose to go courtside, you want to be on the baseline behind the basket. You can shoot from the corner which allows for more range or you can be right under the basket which gets you a dramatic angle for lay ups. This angle also allows you to get great action photos without a long lens. If they will allow it, try to get behind the rear line. Now you have all the action coming directly at you. If you get out to the corner you have the widest availability of shots. To capture the goalie, you will need to be on the sideline about 20 yards out from the net. Standing the sidelines will also give you some nice shots. While you can’t chase the action, you can always get a feel for the game and determine which end of the field is seeing more action. Scott Quintard’s ebook Youth Sports Photography – Tips and Techniques for Capturing Great Photos is available for $17.99 at the Sports Feel Good Stories Store.